My first night in the US as a student was at a motel in a small university town in the Midwest, amidst cornfields and freeways. To my surprise it was owned by Gujaratis. At that time I was unaware of the Patel motels dotting America. I certainly never imagined a nondescript one like that might ever be the subject of an art project. Years later, I was amazed to encounter just that. 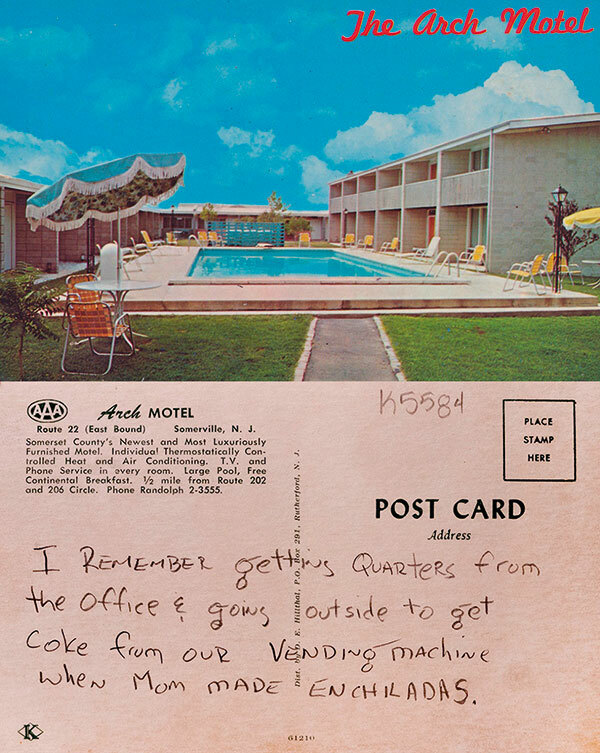 The Arch Motel Project used photographs, found objects and mixed media to tell the stories of humble motels just like the one I had been to. 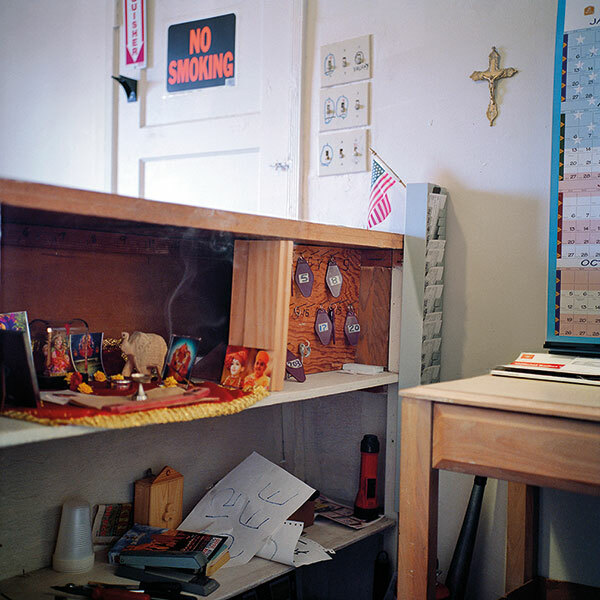 But its faded picture postcards, portraits of motel owners in saris and sweater vests and photographs of incense burning in little altars for Hindu gods next to a ‘No Smoking’ sign recounted a much more variegated story of Indians changing America even as America changed Indians. The artist behind the project was Chiraag Bhakta. His parents, like many Indian immigrants, came to the US from Gujarat in the ’60s, in search of the American Dream. His father had a master’s in chemistry. 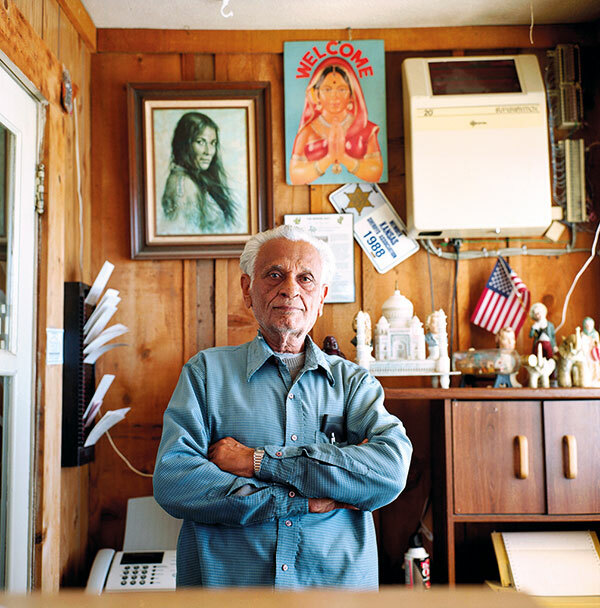 “Then he ended up buying a motel on a New Jersey freeway, which I also called home,” recalls Bhakta. 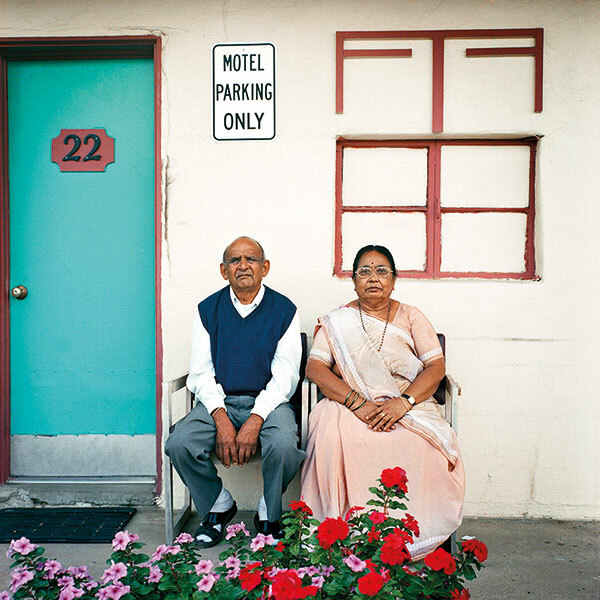 Part of ‘The Arch Motel Project’ by Chiraag Bhakta / *PMH. There were Jain and Hindu prayers and meals at night, harmoniums, manjiras, Bollywood songs and bhajans at home. Till high school, Bhakta was surrounded by nuns in a Catholic school, and was the only brown child there. He remembers anti-immigrant gangs shouting slurs at his mother as she drove her car. There was an Indian culture at home, and the American culture outside. 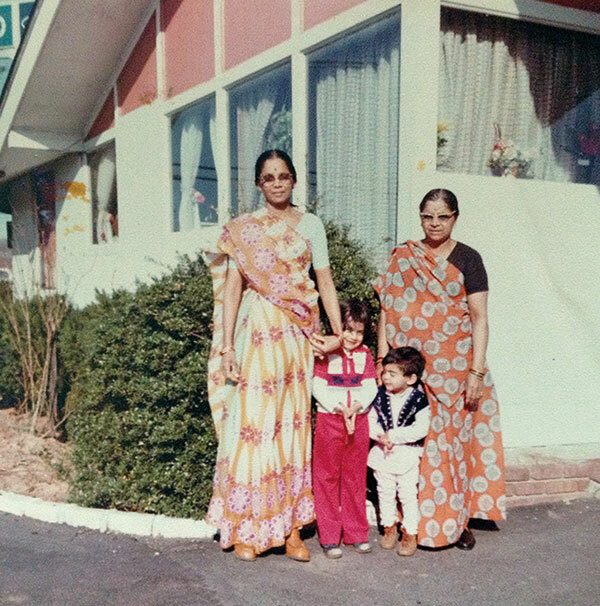 “I am really exploring that third culture as an Indian-American,” says Bhakta. He was the embodiment of the hyphen in the Indian-American. His art balances on that delicate hyphen, very much a product of the vibrations of these two energies, coming together, colliding,melding, which he says “can be uncomfortable, awkward, bizarre, and interesting”, but he somehow finds an off-kilter beauty in all of it. His parents were nervous when he went into fine arts. His father nudged him towards graphic design at Hartford Arts School in Connecticut which at least had potential to translate into what Indians call a “good job”. 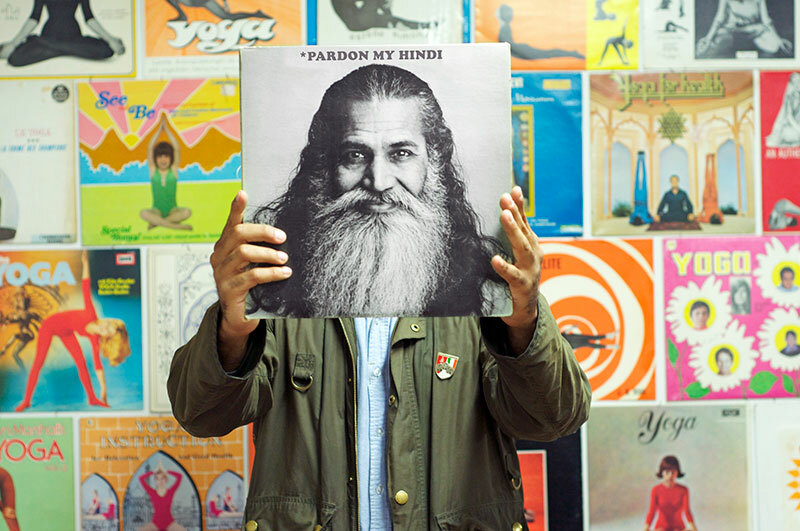 Bhakta, who now lives in San Francisco, uses that work — whether for Nike or start-ups — to fund his alter ego aka *Pardon My Hindi. And what about his Hindi? It’s still pretty “non-existent”, he admits. While his Hindi might not have gone places, he’s come a long way from that motel. 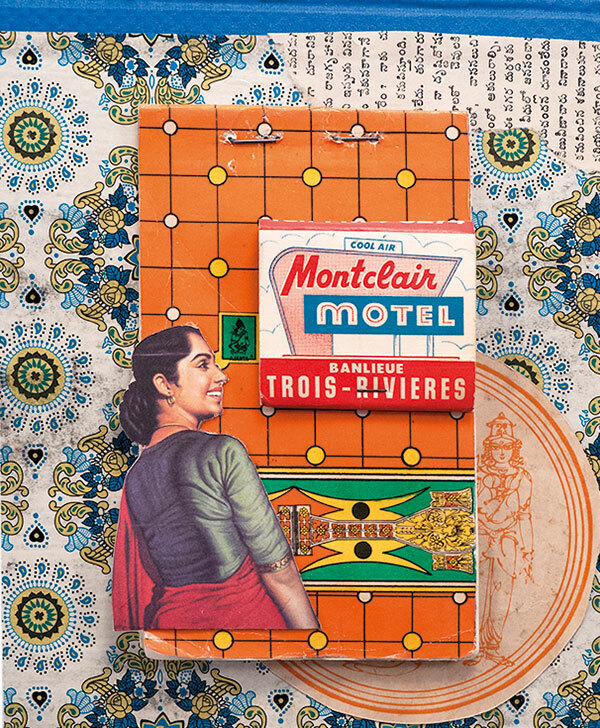 Over the years, Bhakta has collaborated with the who’s who of South Asian-American culture. When DJ Rekha and Vivek Bald were setting up their legendary club night in New York, Mutiny, Bhakta created its visuals. He’s worked with hip-hop group Das Racist, saxophonist Rudresh Mahanthappa and jazz pianist Vijay Iyer, created a poster for Ashim Ahluwalia’s Miss Lovely (2012) and designed a museum display for Pixar artist Sanjay Patel of the Oscar-nominated animated short film Sanjay’s Super Team (2015). Bhakta, who once played the saxophone and drums, says that while the music scene inspired by the Asian underground was fresh, the visual representations were “cliched, paisleys, Hindu gods, or a Devanagari line above some English characters”, which he found “super lazy and annoying”. Part of 'The Arch Motel Project' by Chiraag Bhakta / *PMH. That is what gives Bhakta’s work its edge. 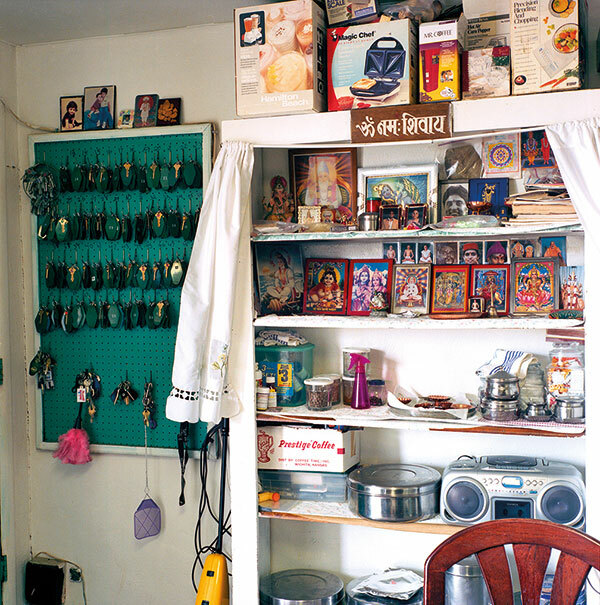 He collects what would be kitsch — the flotsam of a throwaway culture, Parle-G biscuit wrappers, the Air India Maharaja, an old aspirin ad from an Indian newspaper — and turns the ephemeral into something long-lasting, the banal into something memorably provocative. But playing with cultural motifs can be tricky. Comedian Hari Kondabolu sparked a conversation about the representation of marginalised groups in popular culture through his documentary The Problem With Apu (2017) using Apu Nahasapeemapetilon, the store owner in the long-running animated series The Simpsons. The show creators chose to respond rather dismissively through an episode, and caused a ruckus. Bhakta says Kondabolu did a great job manoeuvring around the subject. “A lot of times while growing up, and still today, when critiquing something from our perspective, even when what is said is thought-provoking, it gets curbed for being negative or gets accused of overreacting, which is trash,” says Bhakta. His #WhitePeopleDoingYoga certainly struck a nerve. But, as he says in his artist statement, it’s less about picking on white people doing yoga in their Lululemon yoga pants, and more about pointing out a larger truth namely “a desire for ownership over an ancient practice that emerged from a different South Asian tradition of material denouncement”. That — if you think about it — is what colonialism is really about. Bhakta makes that point without needing to lecture. Instead, he examines “heritage, community, identity, and culture” through “pop culture, graphic design, assemblage and photography” rather than footnotes.